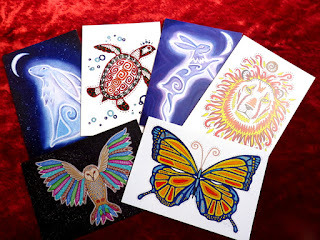 For an alternative and unusual gift for a friend or family member who would enjoy a Tarot reading. NOTE: You can, of course, just purchase a paper gift voucher without the card FREE of charge - I can email it to you (no P&P fees! ), or you can collect in person. Alternatively, if you are local to me, pop round with your payment, get to choose your card up close and avoid the P&P fees! You can then personalise your card as you wish and I will supply a business card which has my contact details on so your loved one can contact me direct to arrange an appointment. All they need do is show me the card when they arrive. 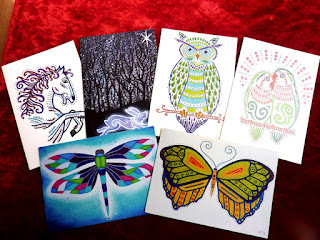 *PLEASE NOTE: if you choose to have the card sent to you, please tell me the card you want and the name of the person for whom it is intended - for my records.